1/4" 12 foot Flexshaft for cleaning grease out of 1 1/2" and 2" pipe. Great for kitchen sink lines, lavatory drains, tubs, showers and urinals. Maneuvers decently around PVC traps, santee's, 90's and 45's; Used for Clay, Copper, Cast, Galvanized, PVC, ABS Corrugated, and Orangeburg. 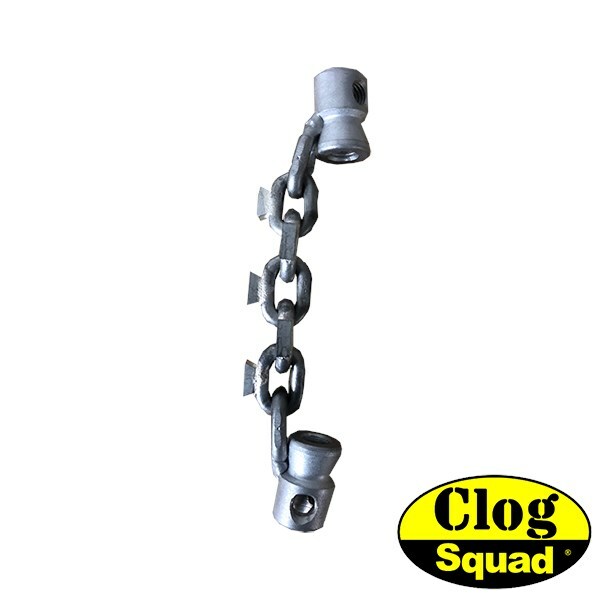 1/4" Flex Shaft includes all chain knockers listed below. 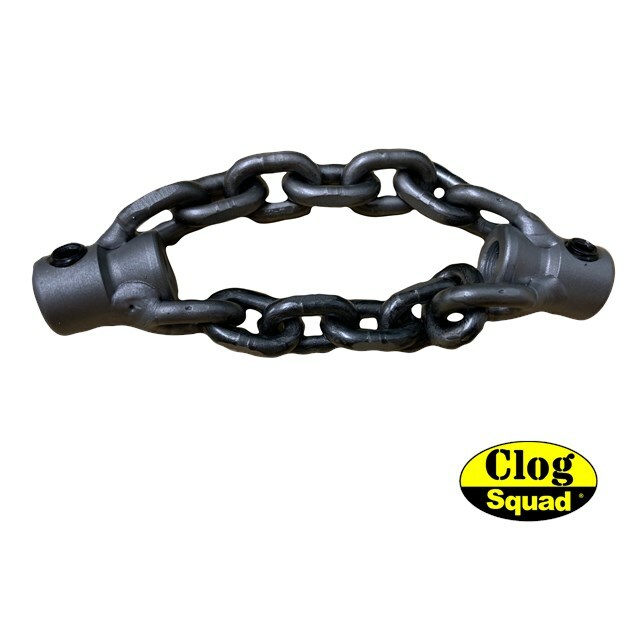 1/4" 1-Chain Knocker for Grease. Works great for cleaning out grease and soft buildups. Safe to use in pipes of all materials. The carbide tips on the 1/4" chain knockers works well for scraping cast iron and galvanized pipes all the way around. Make sure to have protective casing in the middle to keep carbide tips from hitting Flex Shaft. 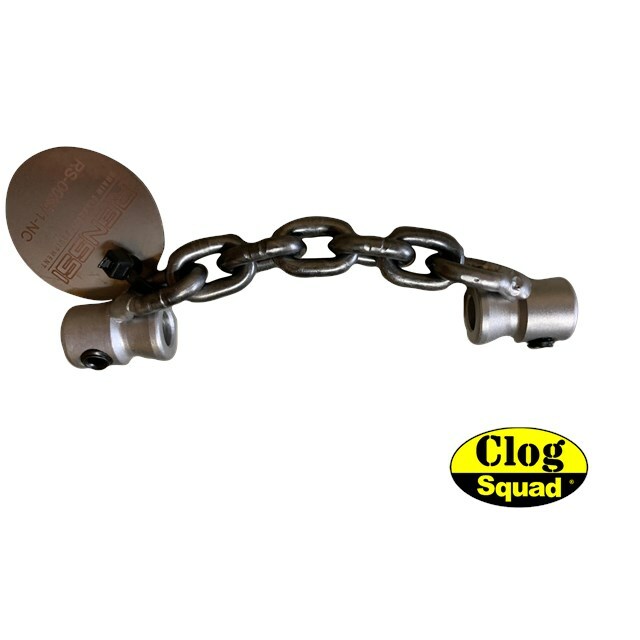 Size: 1 1/2" - 2"
1/4" 2-Chain Knocker for Grease. Works great for cleaning out grease and soft buildups out of 2" lines. Safe to use in pipes of all materials.